(Washington Post) The bank robber whose escape from Inova Fairfax Hospital earlier this year prompted a dramatic, nine-hour manhunt was sentenced Friday to 32 years in federal prison, authorities said. Wossen Assaye, 43, had admitted to his role in 11 holdups and pleaded guilty to two firearms charges as part of a deal in which prosecutors agreed to recommend he serve a 35-year sentence. U.S. District Judge Leonie M. Brinkema went just below that, sentencing Assaye to the mandatory minimum 32 years, authorities said. Assaye’s robberies were notable in their own right: He earned the nickname “Bicycle Bandit” because authorities said he rode away from the scenes on a bicycle. 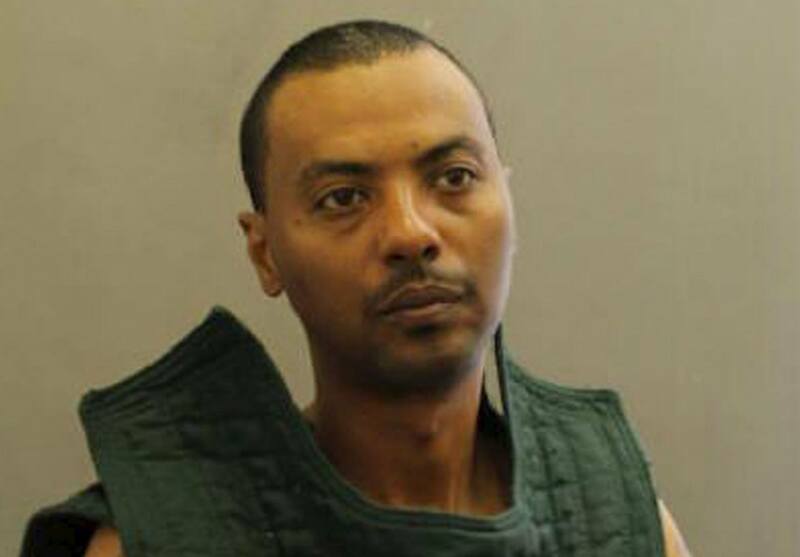 But his case drew even more widespread attention in March when he somehow slipped his shackles and overpowered a guard who was watching him at Inova Fairfax Hospital, then fled into the surrounding neighborhood. He was captured some nine hours later in the District after an extensive manhunt. Labels: Crime, Ethiopia, Ethiopian Diaspora, News, Washington D.C.